After being entrusted with the responsibility of converting Bristol from perennial strugglers to the Premiership elite, Pat Lam has insisted that his side will play an attractive, attacking brand of rugby. But as we saw against Gloucester, it might be wise to refrain from doing this until Bristol have enough quality across the park to do it successfully. Lam’s bold defiance is admirable, but when Bristol are throwing wide miss-passes inside their 22 and being driven backwards, one must wonder whether their tactic is a wise one. Teams have already got the measure of their attacking game (as we saw with Gloucester’s line speed last night), and surely they must be more adaptable in future games. Next week is a big one for Bristol, as they host Harlequins. Both sides are winless since the opening round. When transfer rumour merchant RugbyInsideLine piped up on Twitter this week suggesting that Bath Director of Rugby Todd Blackadder was under pressure from the playing group, they were met with a barrage of denials from Bath’s senior players. With Matt O’Connor sacked after just one game earlier this month and Bath winless from their opening two, it wasn’t unfeasible that Bath’s notoriously impatient owner Bruce Craig would’ve been waving goodbye to Blackadder had their poor run continued. Much of that pressure will have been alleviated today, though, as Blackadder’s Bath team picked up a vital victory over Harlequins away from home. (Read our report from the game here). After a worrying start to the season where they were battered by Harlequins and only just withheld a late comeback from Worcester, Steve Diamond’s Sale team travelled to Exeter in need of a strong performance. They got just that – Marland Yarde and Bryn Evans scored first-half tries as Sale looked exciting in attack and solid in defence until a late Exeter surge left the Sharks lagging behind. Though their efforts were ultimately in vain, there were positive indications for a Sale team which will see Chris Ashton, Faf de Klerk, James O’Connor and Rohan Janse van Rensburg – their four, star players – return in the coming weeks. That was Worcester’s record this season heading into Saturday’s clash against Newcastle at Sixways. After falling 0-14 behind, the Warriors managed to draw level just after half time, but Toby Flood’s late penalty meant the Falcons travelled back up North with four points. 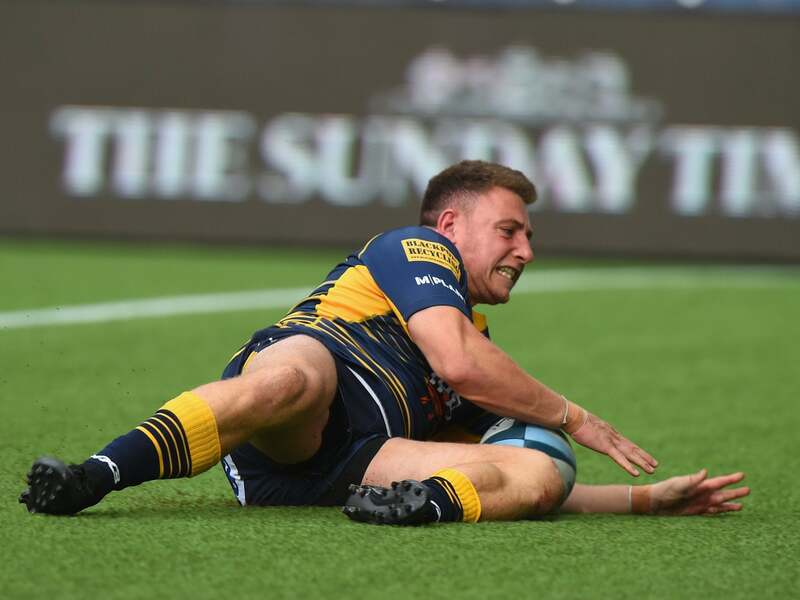 With trips to Leicester and Exeter in the coming weeks, this was a crucial game for Worcester, and sadly it looks as if it was an opportunity missed for a side who will surely be in the midst of a relegation battle for the rest of the season. The big one is in week six: 29th October, Bristol Bears vs Worcester Warriors, but Bristol could quite easily have more points on the table by then as they host Harlequins next time out. After last season’s three demolitions at the hands of Saracens, Northampton ran out at Franklin’s Gardens hoping to turn around their recent form against the Champions. They looked as if they’d do so in perfect fashion – Northampton led by a point with eight minutes remaining, but two scores from David Strettle meant that the Champions would take five points with them to North London. Despite two losses from their opening three games, both have featured extremely positive elements, and Chris Boyd can retain dreams of a top-six finish in his first season in England.